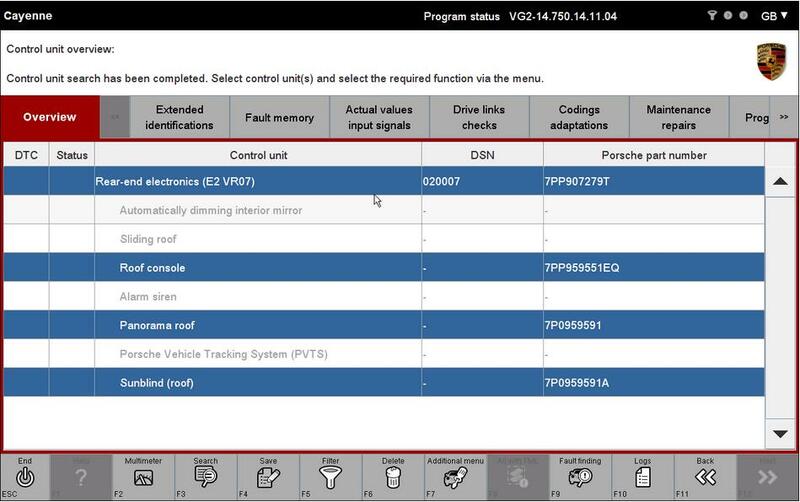 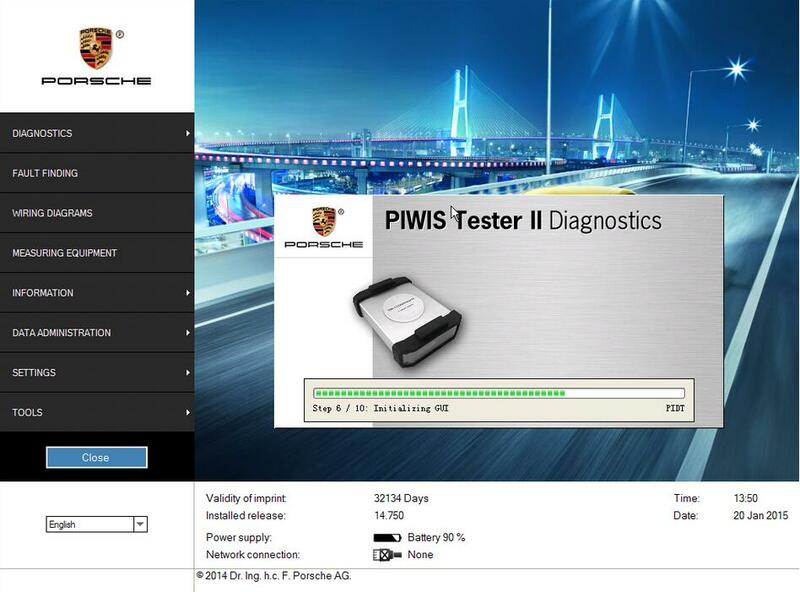 This article show a test for Porsche PIWIS 2 Rear-end Electronics coding for Porsche Cayenne. 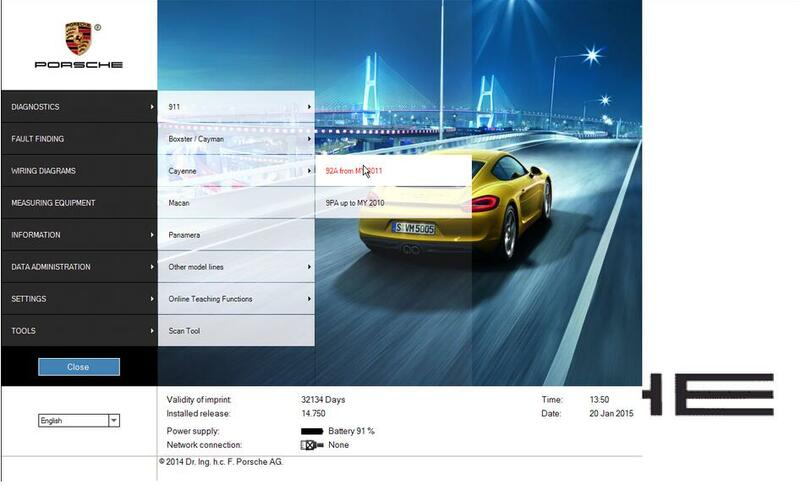 2.Select [Rear-end electronics] then Click [Next] or press F12 to continue. 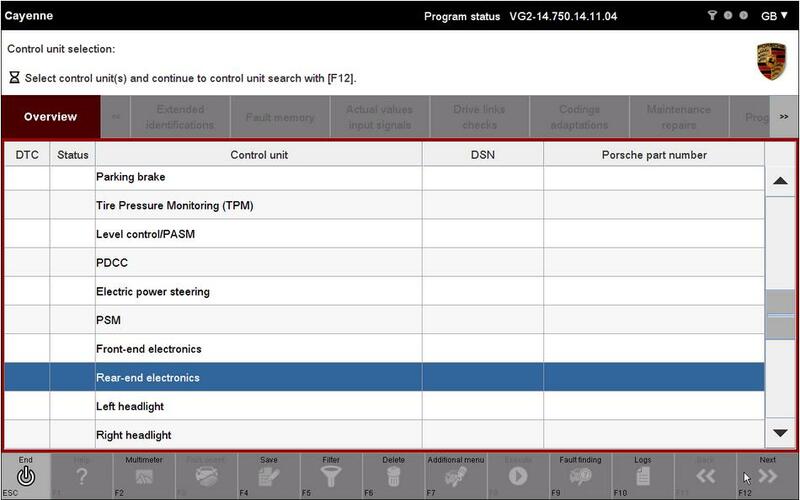 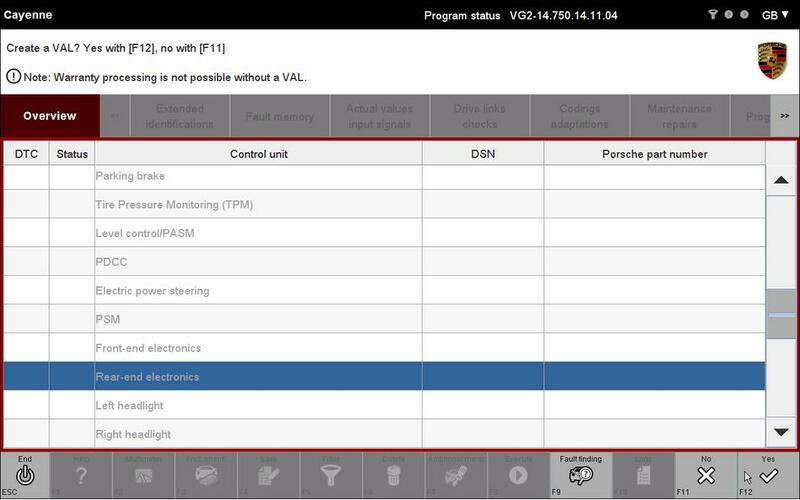 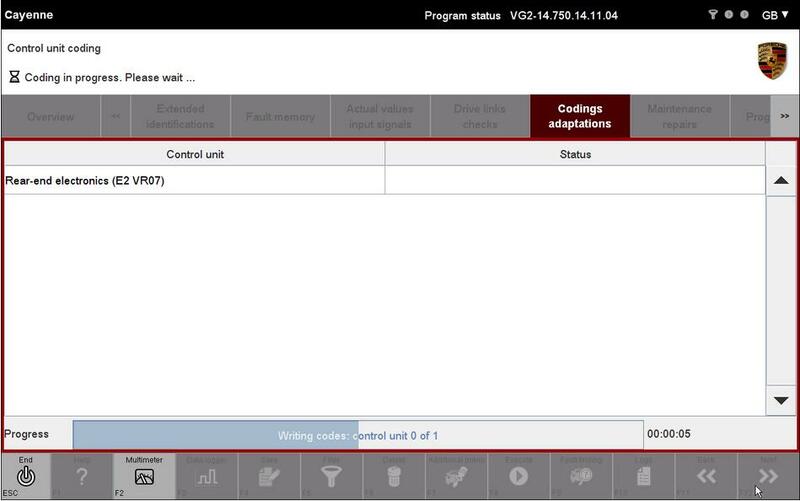 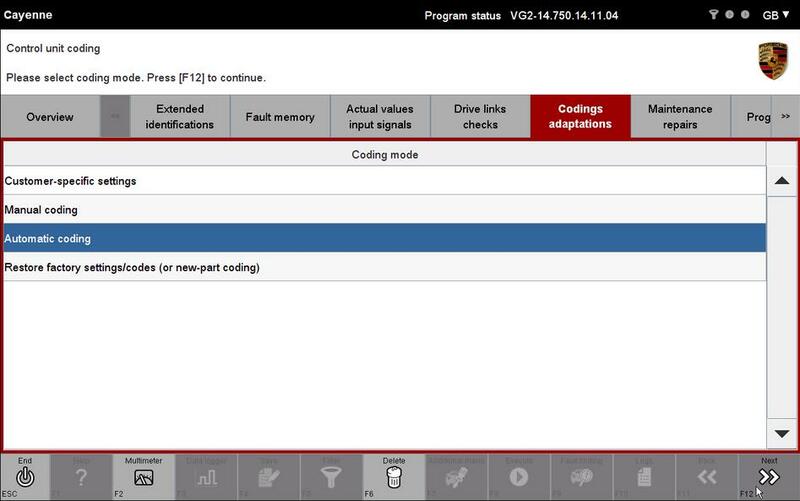 Control unit search has been completed.Select control(s) and select the required function via the menu. 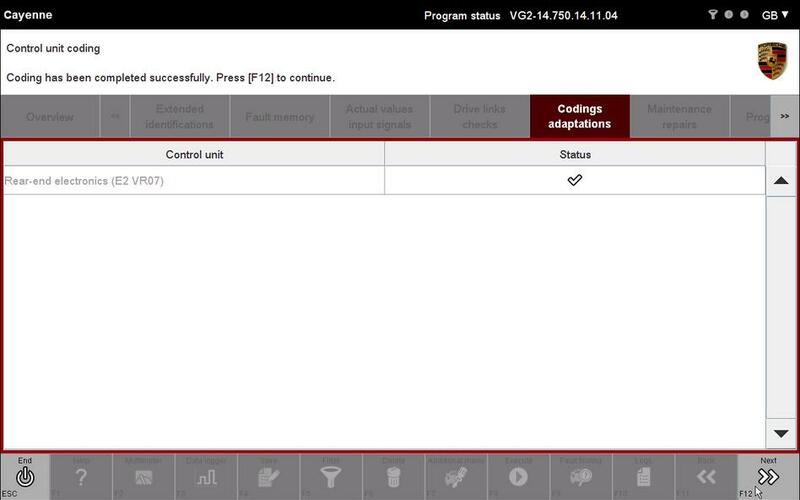 5.Select [Automatic coding] then click [Next] or press F12 to continue.